Long gone the days when city dwellers used to wake up and get their newspaper from their porch first thing in the morning. Today too they do care for the news but they no longer have a porch or gets up from the bed at all to get it. The news comes to their hands via internet a.k.a. website newspaper and magazines. And there is a lot of competition too. For making the best website newspaper or magazine you definitely need the best news served in the best plate meaning themes. Themes that will make yours and your user experience fantastically awesome. These themes let you put your imagination on the web portal and allow you to spread the word easily to a vast public as soon as possible. No position is maintained. The names of the 34 themes are put randomly. Top News Magazine and News WordPress Theme loads real fast though it is filled with various features, options, and functions. The theme is designed to be user-friendly and easy to customize. With great technical support, you get to build your dream web magazine in a little time that is also great for search engines. Its unlimited color options allow you to paint your imagination and it is SEO ready so that you are found. This simple, light and a clean design come with various fantastic features. 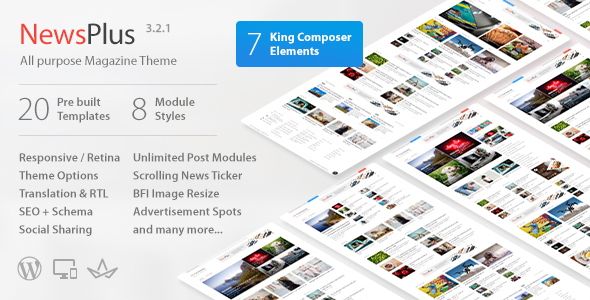 All In One Multi-Concept Blog, Magazine and News WordPress Theme leads real faster and very much user-friendly. One can easily customize the theme according to its requirements and can do a personal blog, magazine, video blog and viral blog. This theme is SEO-ready and provides a great platform to achieve super high search engine rankings for your website. It also supports localization. The Newspaper is one of the best-selling excellent WordPress themes for news, magazines, publishing, and review sites. It can be used as personal and professional blogs as well. The updated version, Newspaper 8, introduces tagDiv Composer, a page builder specially developed for the news publishing industry and blogs. Simply you can drag, drop and arrange the desired elements on the front end of your page. It is giving you very­ easy options to build pages, menus, layouts, mix elements, add headers, without switching to the backend! compatible with WooCommerce, bbPress Forum, BuddyPress. 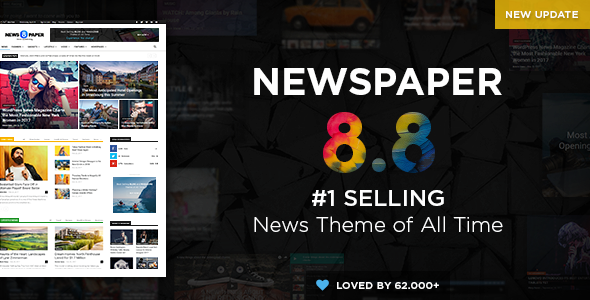 Explore your news with a newspaper theme. 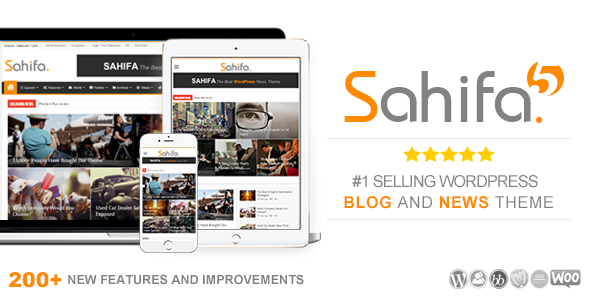 Sahifa is one of the most versatile WordPress themes for news, magazine and blog websites. This theme is an amazing invention offers lots of incredible features to improve your online existence ever. It helps to manage the balance power and beauty for all kinds of users. Shafia helps to include as many users as possible and thus increase popularity. Its Translation ready option can also accommodate foreign visitors. Spread your content word wide with Shafia! It is highly customizable yet simple, feature rich and very much user-friendly. It loads fast thanks to its smart clean coding and allows you to do wonder with it. 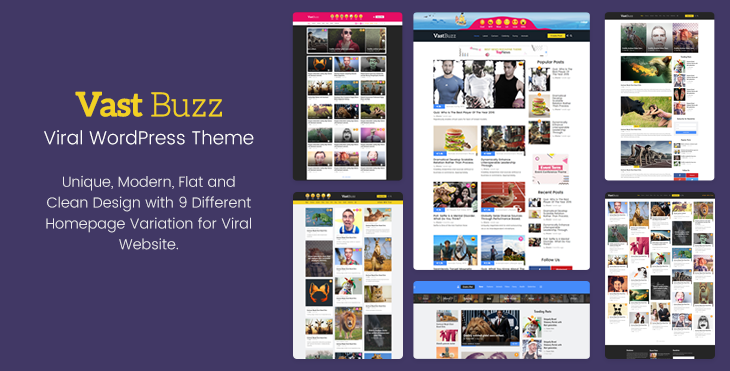 Vast Buzz Viral & Buzz Magazine WordPress Theme has got various versatile options like create a list, meme, quiz, pool, video, audio, gallery, etc. 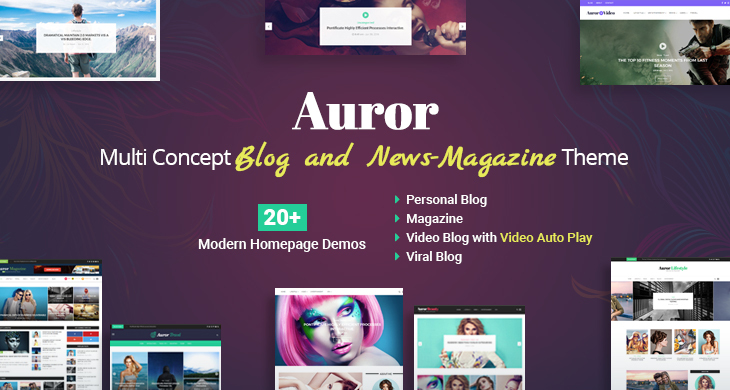 Just like the astonishing magic Auror Blog Magazine WordPress Theme creates your dream website magazine with a touch of the sparkle. It’s fully responsive, fits any size of displays from lower to higher resolutions and supports all modern browsers. The theme is SEO ready and open to great platforms achieving success and ranking for your website. Soledad is a purposeful WordPress theme with an attractive and creative outlook. It is 100% compatible with sophisticated online magazines to attention-grabbing blogs. It has supremely polished graphical effects and amazing, expressive and outspoken layouts. The theme made the website building process swift and painless with professional quality results every single time. 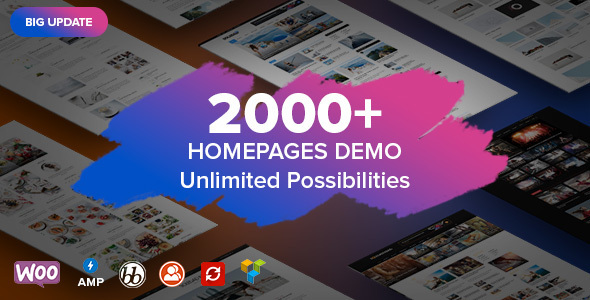 SmartMag is a persuasive multipurpose WordPress magazine website theme. It is a powerful and responsive platform for building stylish magazine websites. Previous knowledge of coding is not essential while working with SmartMag. The theme is highly customizable, easy and intuitive. Tons of handy widgets simplify magazine crafting and make your Branding effortless. You can showcase your content in SmartMag with a sharp and fresh look. The Revolution Slider keeps your audience engaged with your content. Let us know regarding the awesome features. 600+ Google Web Fonts are supported. Get SmartMag to explore today! 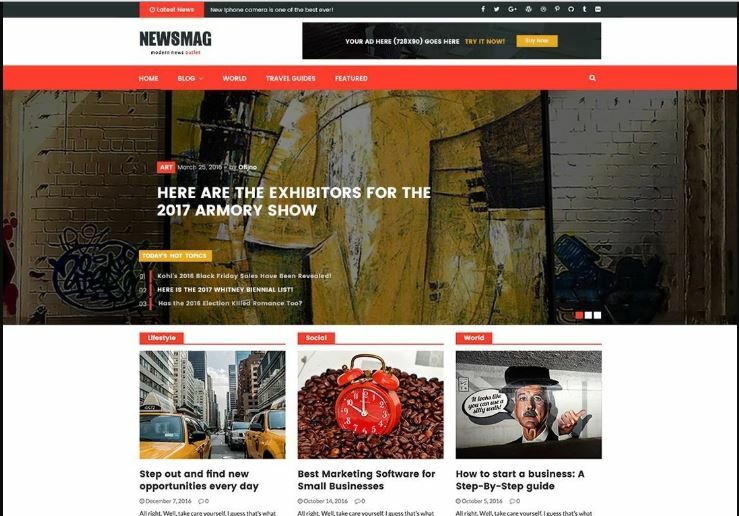 Newsmag PRO is an attractive and resourceful WordPress theme perfectly designed for magazine websites around the world today. This theme has been combined with the basic and advanced features of a magazine website. Newsmag PRO has the capability to provide you with everything you could ever dream of in your magazine website. You can fully brand your Newsmag PRO websites by customizing according to your desire and choice with ease, including custom fonts, endless color schemes, custom logos and more. The theme is optimized everything for SEO and ensures the traffic-generating power of your site. The buyers have loved it for it is simple and beautiful. The coding is elegant and includes several unique robust features. The style is impactful to call out visitors to your website. Awesome theme. Both users and visitors will be happy with it. 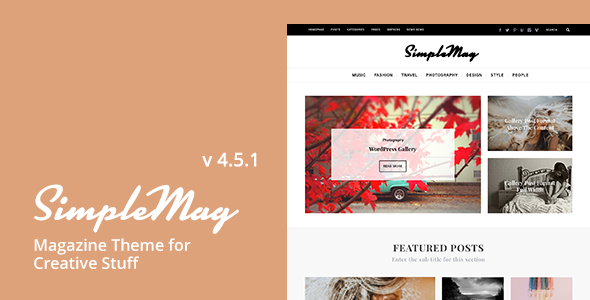 A cutting-edge, feature-rich WordPress theme with premium HD for soothing the eyes. It is fully responsive and comes fully ready to satisfy you and your customer’s need. 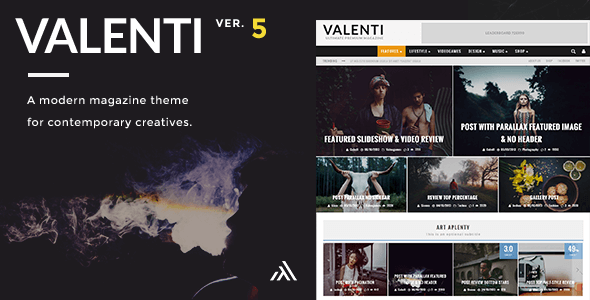 Valenti is here to bring back the fun in building a website. 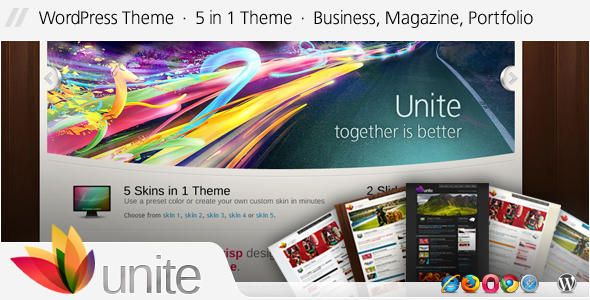 It is a very simple and vibrant theme designed particularly for websites news and magazine. Can be used to report on entertainment, politics, world news, music, or pretty much any trendy, interesting topic. It has an outstanding and incredible focus on speed and efficiency. It is highly efficient to organize server loads even when your stories or posts go viral. People love it because of its clean and hassle-free interface. Full Documentation + Demo Content Included . 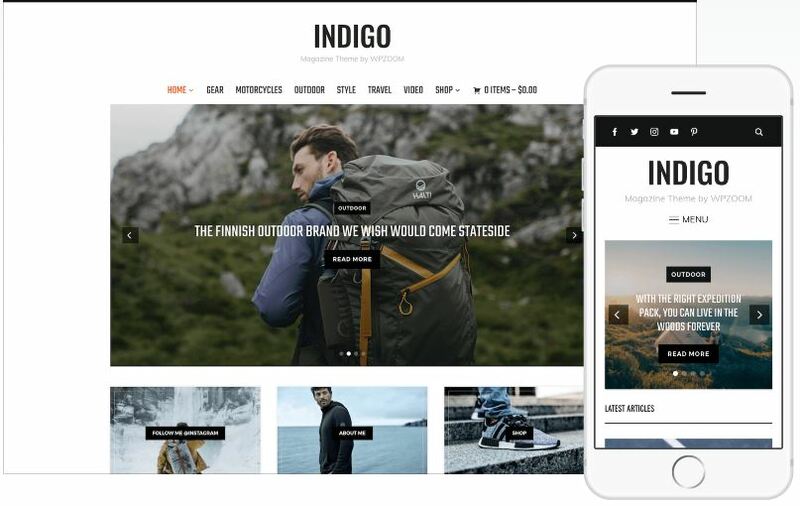 Indigo is a magazine, blogs, and publishers WordPress theme. It is a superb WPZoom development that handles every single detail with care. Its one-click demo set up features is very simple and made it effortless for documentation. Indigo provides excellent services for those on advertising or media. It is great for those who are interested in writing for its fast translation option. An eye-catchy built-in slider is featured, too! It provides a homepage template that you can use as a blog itself or for a magazine or newspaper cover. It can help to generate traffic for your website with its SEO optimization feature. 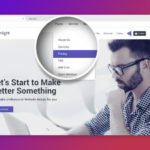 It is extremely easy to use, developed with all the essential features and layouts that will help you to make your online presence to the next level. Grab this right tool up right away! Zox News is a communication WordPress theme specializes in professional publication and communication. It is the right tools for newspaper, magazines and news channels to work. It has unlimited ads spaces, and any visitor can reach for its translation option. The theme is with tons of specialized documentation options. Start with Zox News! 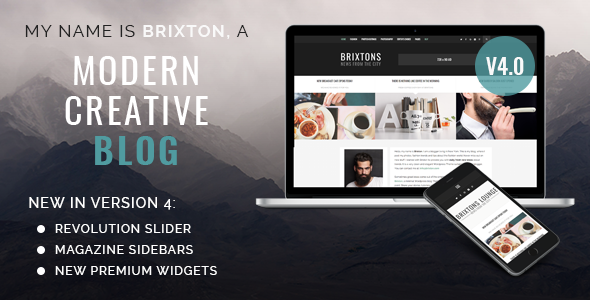 Brixton is an attractive WordPress theme with the special focus on your news, magazine and publication website. It has developed in such a user-friendly way so that users can present their news, or report the information very easily and effortlessly. Brixton allows you to alter the page colors, design them according to your brand logo. As it is SEO and Speed optimized, the user retention rates will be higher in the online space. It makes possible to customize very article as you desire to make it. Try to attract maximum visitor to news website with Brixton. 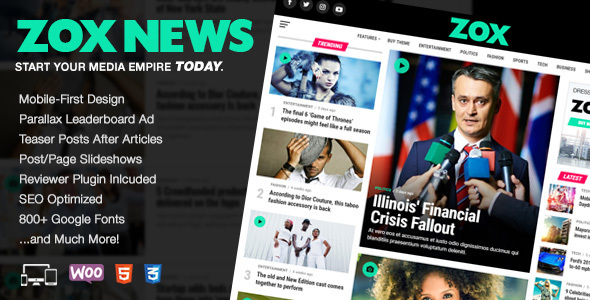 NewsPlus is an exclusive news and magazine WordPress theme. 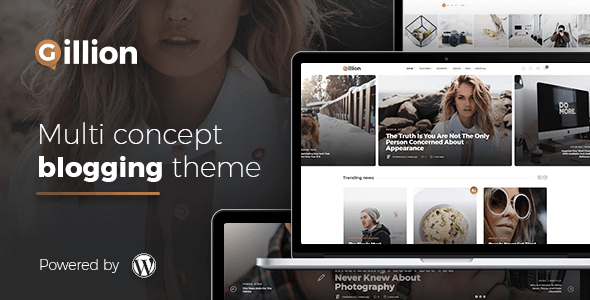 The WordPress theme has been given an epoch-making horizon through “Newsplus” that covers all-purpose especially evolved for online magazines, technology blog, news and editorial ventures. The latest coding standards and pellucid design have enriched the theme which helps you for a long-term and effective solution for online projects. The developers paid their utmost caliber to make the theme extraordinary so that the desktop and mobile browsers are benefited largely. Get NewsPlus as your online partner to go ahead to touch the horizon! 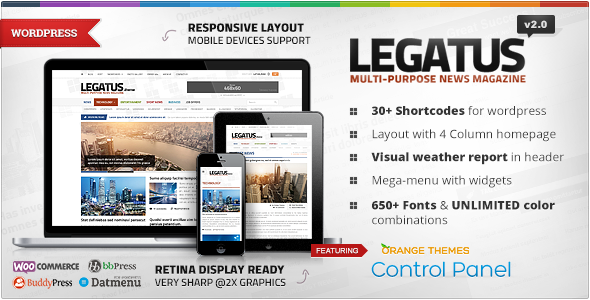 Legatus is a responsive and eye catchy News/Magazine theme. 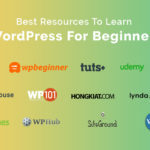 It is simple but highly customizable WordPress theme that is very effective for any news site or blog with marvelous documentation process and different category page layouts for you to choose. It distinctively focuses on the accurate local weather forecast that has made it unique. Legatus would be really great for you for your impressive news sites! 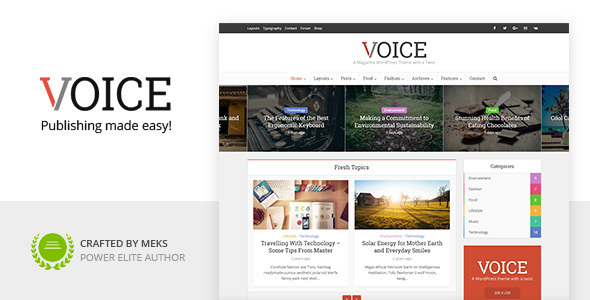 Interactive is an eye-catchy and highly professional blog & magazine WordPress theme. It is a minimal design and competent WordPress theme built for new web technologies. It is highly flexible and intimate can be installed with a single click. Unlimited options make the theme absolutely customizable. And the powerful features provide you further ways to cooperate with your visitors and to keep them coming back. Use Interactive to reach and interact with massive visitors online! Click Mag is viral and modern WordPress theme for news, magazine and blog sites. 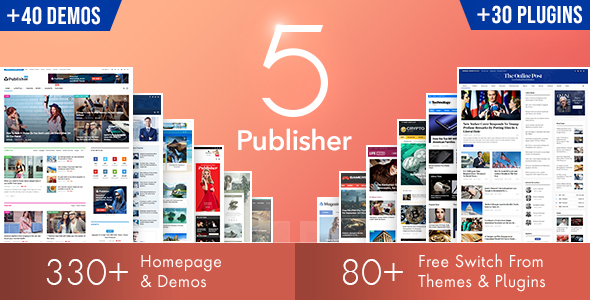 It is a special kind of fluid framework for developing gorgeous magazine and publication websites. You don’t need any coding knowledge and experience you can work with it. Click Mag websites are SEO and speed optimized for fast loading and performance under pressure. You can thoroughly work with Click Mag for virtualizing your content and posts. Its dazzling and intelligent graphics detailing makes your pages popular. With Click Mag materialize your big thing!! 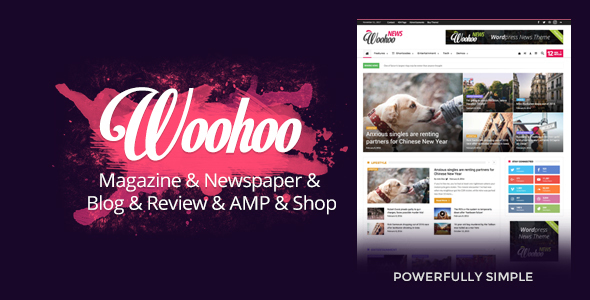 Woohoo is a stylish news, magazine, and blog WordPress theme. WooHoo is skillfully designed as a highly striking, extremely flexible and technologically inspired theme. It is a highly responsive and translation ready website theme for you to start without having any coding knowledge. It has been amazingly designed to disseminate the information, articles, knowledge, media, and thoughts to massive online visitors with a single click. Woohoo is a great theme to reach the massive visitors! Go grab it today. CheerUp is an incredible WordPress blog and magazine theme. It has 7 unique demos and over 200 excellent layouts! It makes viewer Cheer Up with its perky, modern, fun features. It is customizable, mobile-friendly and responsive. Variants of footers and headers made it more impressive and attractive. 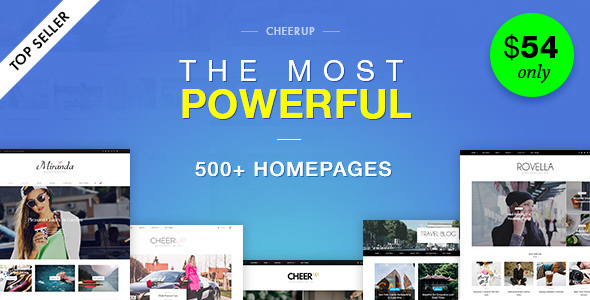 CheerUp is one of the most versatile magazine themes in the recent age. You can upload your posts in several formats. Get this theme now and tell stories to your target people! Handcrafted for all type of blog and simple magazine sites. Elegant and unique Featured Sliders – choose from 5 sliders. Grab CheerUp today, cheer up yourself and cheer up your customer! The pre-made skin and dark version allow easy versatility for the appearance of your magazine. The theme is easy to customize and modify. Ready to be up and running out of the box. 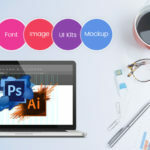 QuickSkin™ file for fast and easy design customization. The PSD files included have been customized to allow fast skinning. 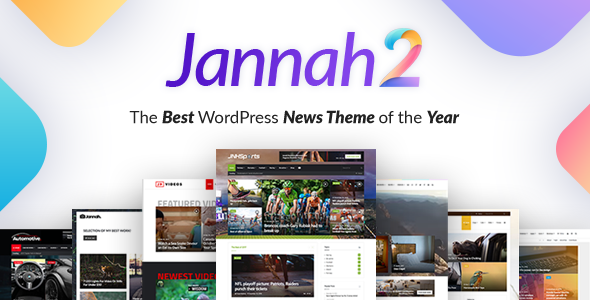 Jannah is an astounding and amazing WordPress theme built exclusively for newspaper and magazine website. It offers unlimited headers, fonts, layouts, styles. Whatever you can imagine Jannah has the capability to visualize. 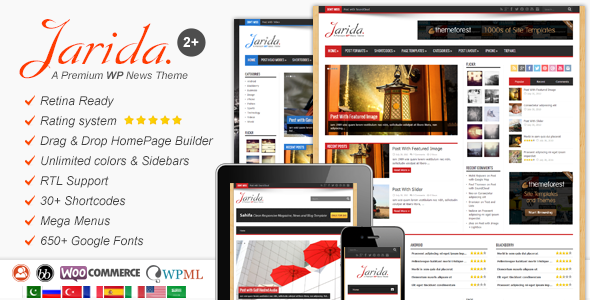 It offers an exceptional page builder built-in, with stacks of cool blocks. It helps you to integrate your website with your news feed on Instagram. The SEO integration feature generates more crowds from Google and Bing search made it great. Jannah is also responsive and Retina ready for all devices and it is WooCommerce friendly. The theme has come with translation-ready to make your words clear and presentable to all people of the world. Try with Jannah to reach all you need and more! 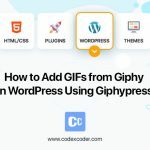 Gillion is specially designed for all sorts of news aggregators, specialized and niche content online magazines and online review websites, but peculiarly effective in the role of managing a news website. It is an aesthetically eclectic, visually stunning, dynamic and interactive WordPress blog and magazine theme. It presents your content in an appealing and eye-catching way to keep your audiences interested. Are you ready to shake things up with gillion? 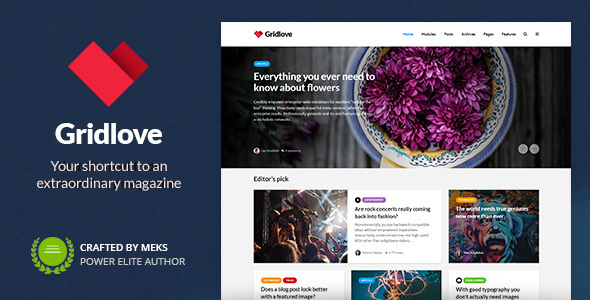 Gridlove is a magazine WordPress theme. It focuses on content and visual allure. The theme allows you to customize everything you can think of. A wide range of pre-built layouts helps you to choose the right one for you. The theme comes with WooCommerce and WPML and provides RTL support and built-in translation. Gridlove brings you a step-by-step learning guide of how to set it up. It is quick and easy to install with one-click import and constant updates. Try Gridlove a simple and packed up tool to begin your writing now! 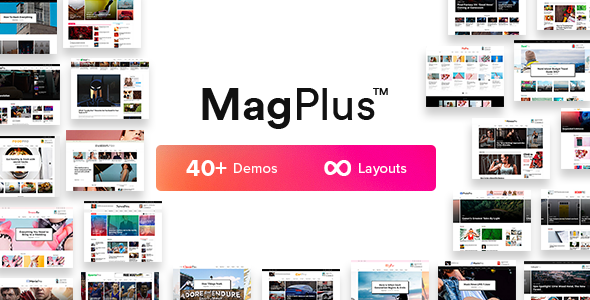 Use MagPlus to reach your desired destination. 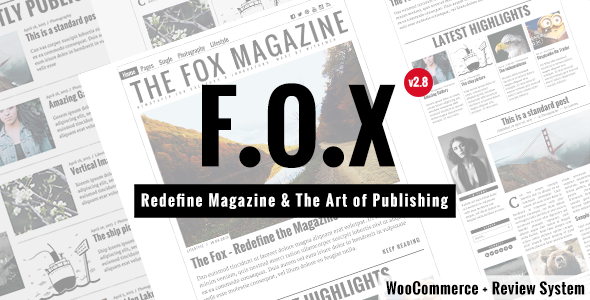 The Fox is a Stunning and excellently creative, stylish and fully responsive WordPress multipurpose Newspaper, blog, and magazine theme. It is an awesome classy, technology savvy theme that incorporates the latest and greatest web development technologies. The Fox is amazingly specialized and its advanced utility and features suited absolutely for managing all sorts of newspaper, blog or magazine websites among a huge range of business area, fields, industries or interests. The fox theme will dominate among other in the digital world. Glow your image with The Fox!! It is a useful and powerful theme. Attention has been given to every minor detail to make it happen. Working with Publisher Newspaper Magazine AMP WordPress Theme will sure be fun. Not only the theme but its demos are also RTL supported which makes it easier for people from anywhere. It is ready for you, your visitors and your future. Now the question is are you ready for it? 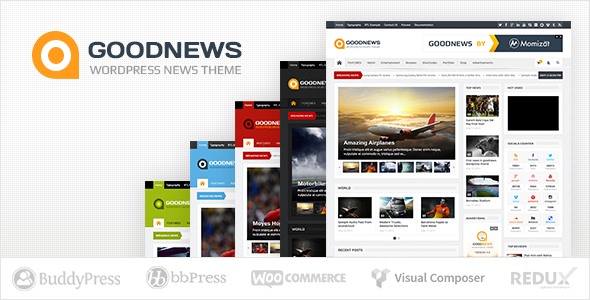 Goodnews Responsive News & Magazine WordPress Theme provides a continuous update on their theme making it workable with current trends and needs. There is also a very smart ad system inside that allows you to choose the right position of ad codes and graphics so that you can reach your goals. It is also very well optimized for both readers and customers and also the search engine. 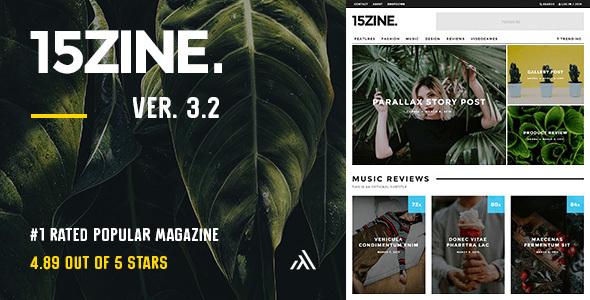 Many websites are using 15Zine HD Magazine & Newspaper WordPress Theme and are having great results. You can become one of them. This theme has an unlimited option that makes your theme more professional and responsive turning your visitors into currency. Full-width slider to show featured or latest posts. The color options provided for this themes makes your website come more alive and buzzing. It suits any device and is a pleasure to the eyes. 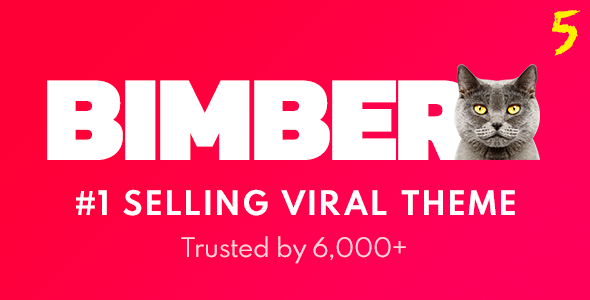 Within 24 hours Bimber Viral Magazine WordPress Theme allows you to have your own viral magazine. It comes with great features like powerful sharing buttons, popular, hot, trending listings, and multiple ad locations. 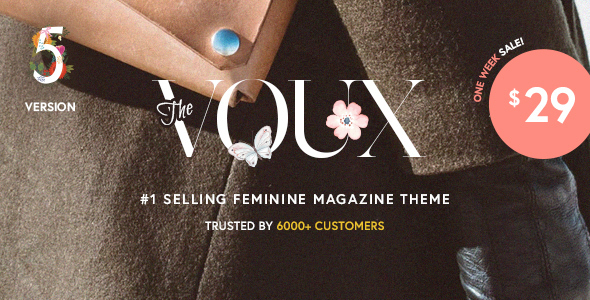 With recently launched new version, version 5 The Voux Comprehensive Magazine Theme step up furthermore. The new demos, elements and customization options give out more opportunities. It is optimized for speed and loading time. Thus giving better user experience. One can use this theme for the blog, video portfolio, and magazine. 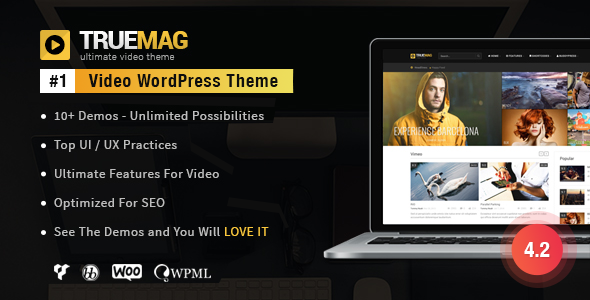 The best practice of UI and UX as well as SEO has been put to build True Mag WordPress Theme for Video and Magazine. It is the perfect choice to deliver your amazing content to viewers. The End but it is certainly not it. 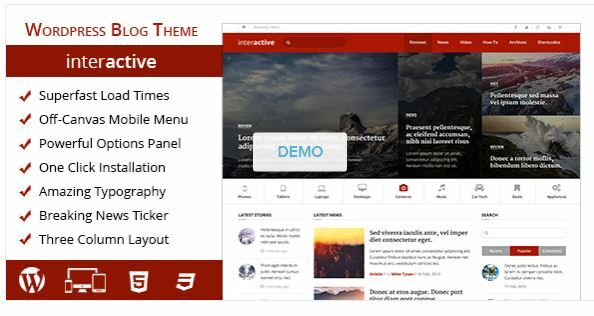 Every day new themes are releasing to satisfy your hunger. We will also keep on updating you with the latest version ruling the web world.